People are [y]our business Creating success has shifted in the digitized world. WHAT is not the challenge it once was. Adaptation, agility & value aesthetics are the new currency of success. Broadmarc brings a holistic and integrated consulting approach to enhance organizational performance. We believe the best solutions are holistic and bespoke to the goals of our clients. We provide integrated advisory solutions that transform an organization’s effectiveness, strategic perspective and growth through building new ways of working and accelerating the transformation. 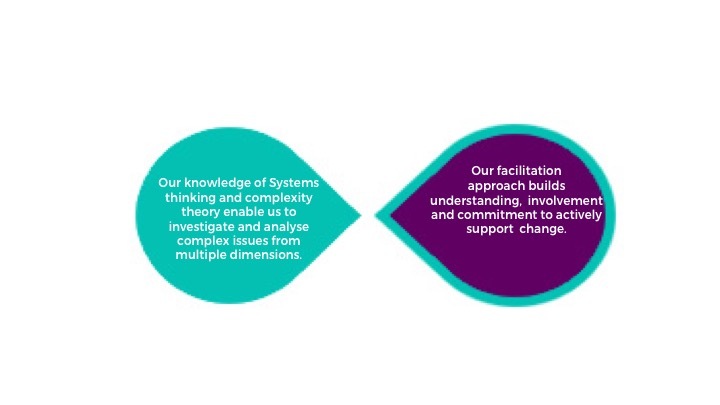 Our unique holistic design approach uses systemic and dynamic methods to embrace complexity and the non-linear nature of modern organizational life. We worked to make a step change when asked to accelerate the impact that key leadership talent was having and turned a typical development engagement on its head. Broadmarc collaborated with a regulatory department in the pharmaceutical sector to build resilience and minimize non productive reactive behaviors. Broadmarc helped a global healthcare client to evolve their global service operating model and reset the effectiveness of the division. Our advisory and implementation solutions are transformative, informed by capabilities in systemic thinking, psychology and human adaptation. Broadmarc works with national and multi-national organizations in Australia and internationally across several industry sectors providing advisory, leadership and facilitation services. Broadmarc has been operating for over 20 years supporting clients in the pharmaceutical, consumer healthcare, financial services, professional services, education and not-for-profits NGOs sectors. Broadmarc has worked with many national and multi-national organizations across several industry sectors providing advisory and facilitation services. We hold 20 years of experience supporting clients success in pharmaceutical, consumer healthcare sciences, financial services, professional services, education and not-for-profits sectors.